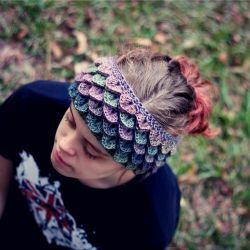 This eye-catching headband features the popular Dragon Scale motif. In this case, it gives more of a flower-petal impression. 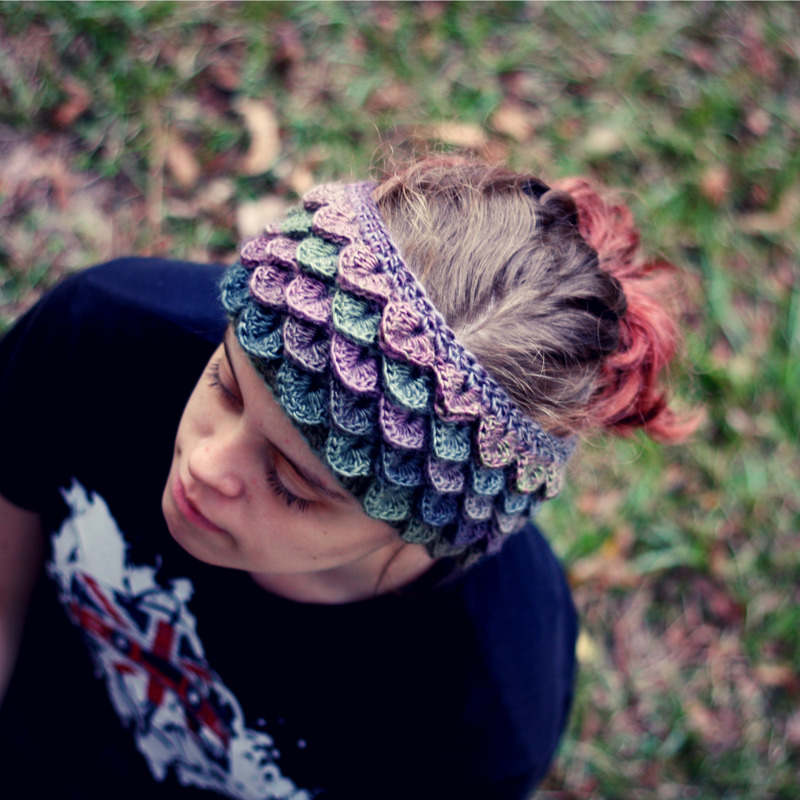 The extra loft from the Dragon Scale also adds warmth.